In an age where every fad diet under the sun has a celebratory endorsement, it can sometimes be difficult to slash your way through the undergrowth of information (and misinformation) that is out there. Hiking is an activity where you are physically active outdoors in the elements for many hours at a time. Furthermore, if you’re multi-day backpacking or scrambling, you can add a few notches to the strenuous scale. It is, therefore, imperative that you get your hiking nutrition right. What sets hiking apart from many activities are the long periods that you’re exercising for. 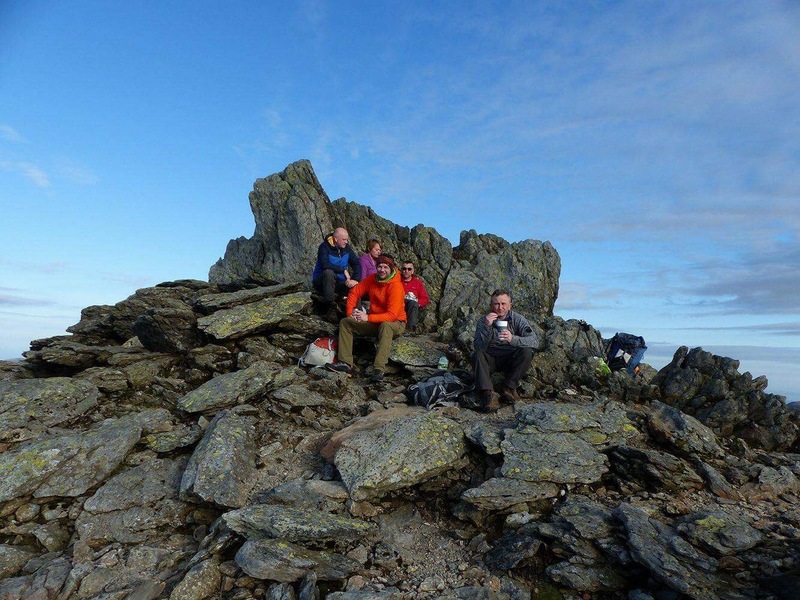 An average 70kg male can expect to use between 220 – 600 calories per hour out on the hills. 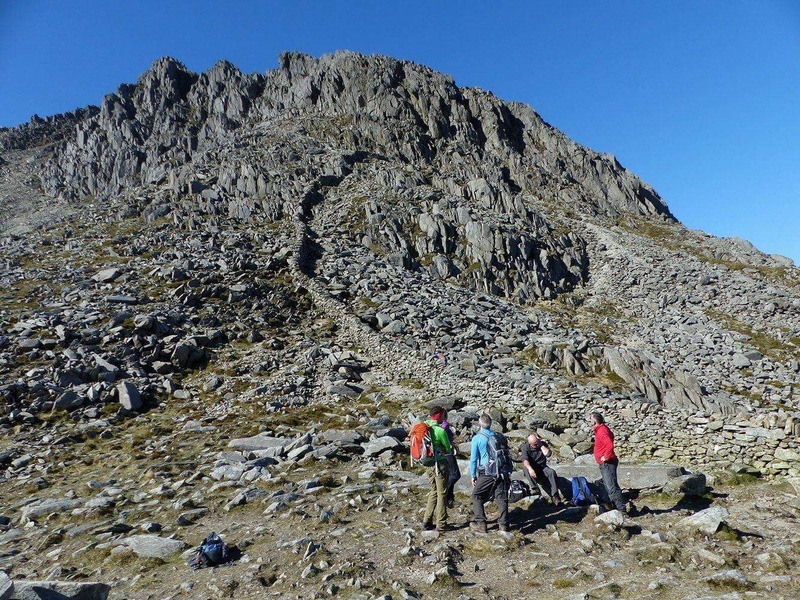 While the lower end of the scale is based on flat terrain, the upper end of the scale takes into account a 7kg rucksack and hilly terrain. To put this into perspective, many consider ‘lightweight’ multiday backpacking to have a weight ceiling of about 13.5kg! And remember, this calorie usage is per hour! As you can see, what you can stuff into your mouth is vital to the success of your adventure. Carbs are seen in many quarters as a bit of a dirty word. They are attributed to everything from a bloated, overweight society to kids going crazy on account of sugar rushes. However, carbs are essential to any outdoor activity. In fact, The British Nutrition Foundation states that “carbohydrates are the most important form of fuel for exercise and sports activities”. You wouldn’t expect to drive a car with no petrol in it so don’t expect to go very far yourself without a stock of carbs to fall back on. Carbs come in two types: simple and complex. Simple carbs are found in sugary foods and drinks. Things like sweets, cakes and fizzy drinks are full of simple carbs. They do benefit you in that they give you a quick fix out on the hills. However, don’t expect it to last long. Simple carbs wear off quickly and this can leave you feeling worse than you originally did unless you support them with more complex carbs. Furthermore, these sugary treats are prone to causing weight gain if taken too often. I’m pretty sure we’ve all moaned about pack weight when we’ve been in the mountains. The last thing you’ll want to do is add to that with some more backside weight! Consequently, don’t be stuffing your face with them every night at home. Complex carbs are found in things like bread, rice, pasta and potatoes. These release energy at a far slower rate and are therefore able to keep you moving for a sustained period. If you’re taking on a multi-day hike or a particularly strenuous route, you’ll want to stock up on these before you leave. Carbo-loading is typically done the night before. As the energy is released very slowly this will keep you feeling energetic throughout your morning adventure. However, the first time I ran a marathon I tried to further load myself on the morning of the event. Bad idea. I felt like a bloated bus towing a caravan into a gale-force headwind. Consequently, make sure you get the balance right. Protein is needed to repair and maintain your body. If you’re putting your body through hell, scrambling over ridges and the like, then you’ll need to increase your protein intake. You see, as you get your legs into all of those weird and wonderful positions and then use your arms to propel your entire bodyweight onto a rock, you’ll be stretching your muscles to their limits. Not only do muscles need a little bit of a rest period after seriously strenuous exercise, but they need protein to help them recover too. However, it is thought that most adults in the UK already consume too much protein, so beware. You need in the region of 0.7g of protein per pound of bodyweight per day. Any more than that and you risk it being stored as fat! You are, after all, highly energetic outdoor adventurers, not immovable body building types! 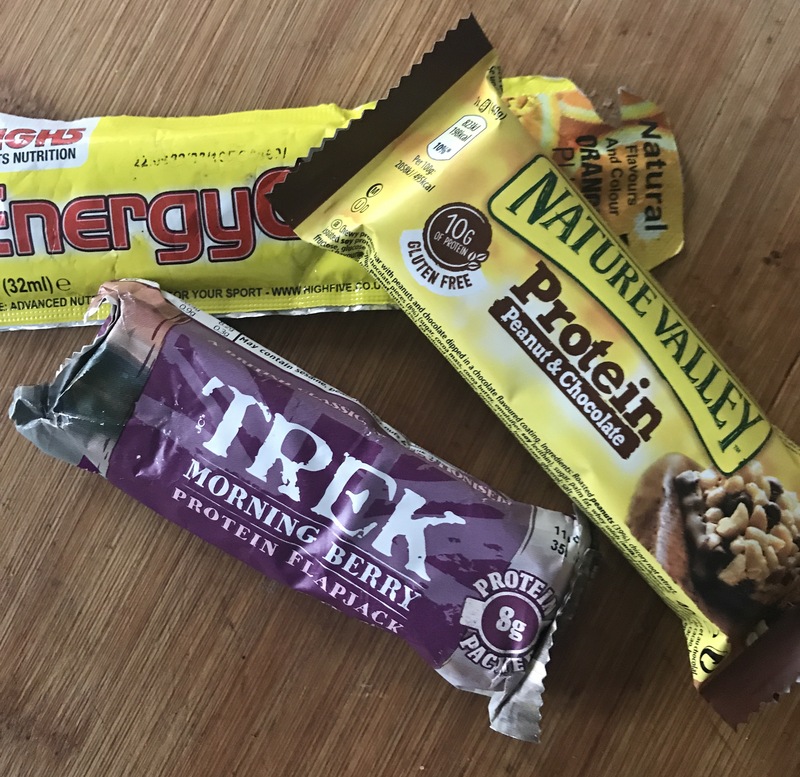 I generally carry some sort of high protein snack, such as a bar or shake, to have at the end of my hikes. These are really convenient. Sometimes it can be a while before I’m able to cook a proper meal containing some of this repair-rich goodness after adventures. Consequently having one to hand for the car journey home is definitely a winner. Like carbs, fats often receive a bad press. You’ve only got to look at the shelves in your local supermarket to see that food manufacturers are making a killing by marketing low fat versions of pretty much everything. However, a small amount of fat is absolutely vital. You see, without fats, nutrients such as vitamins A, B and D wouldn’t be absorbed. Almonds and Brazil nuts, for example, contain lots of good fats that help to lower cholesterol. Consequently, nuts are a great snack to carry out on the trail. 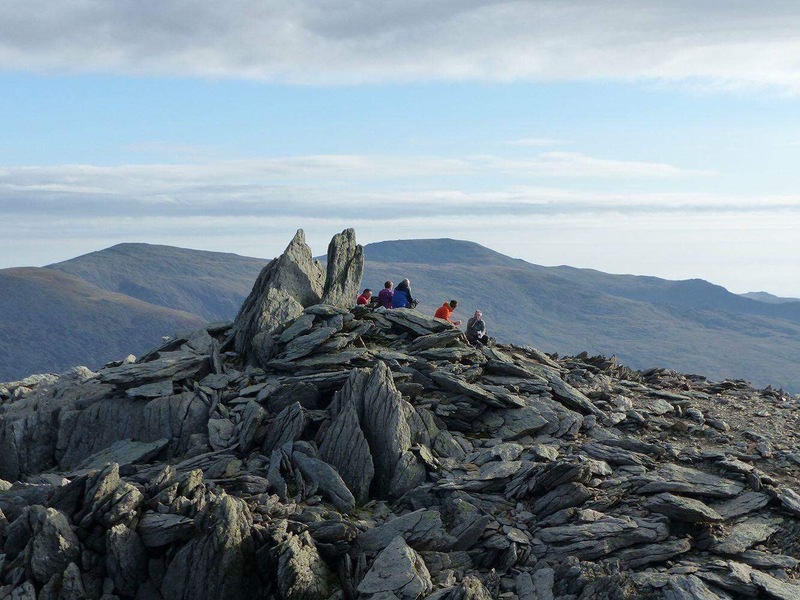 Also, bear in mind that if you’ve spend 8 hours hiking through the mountains of Snowdonia, then you can absolutely guarantee that you’ve earned that piece of celebratory cake at the end. Likewise, if your kids are accompanying you, don’t be afraid to treat them. Trail treats, like chocolate, are a great motivator! 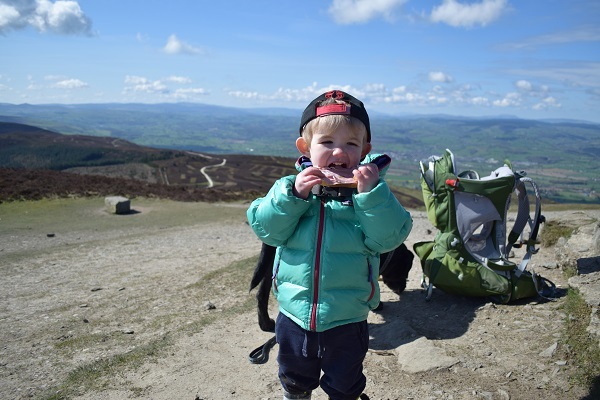 What do I carry in my rucksack? On my average day in the mountains, where I’m out for 6 – 8 hours, I’ll carry a good mix of carbs, proteins and fats. Obviously, I’ll have had a solid breakfast before I even set foot outside. After that I tend to try and graze my way through the day, snacking roughly every hour. I certainly don’t ever leave it until I feel hungry. I’ll usually take some cold wholemeal toast to have early in the walk. I’ll then follow this up a little while later with a breakfast bar. Although some of these bars have pretty high sugar levels, bars like Belvita also contain slow release carbs. Consequently, the sugar content gives me a quick pick-me-up while the slow release carbs keep me happily moving along for longer. As we move towards midday I’ll snack on nuts or, if I’m craving a bit of sugar, a handful of jelly babies. At the roughly the halfway point I’ll have a sandwich. My choice of cheese and jam isn’t everybody’s cup of tea but it’s a great outdoor combination. I get good carbs from the wholemeal bread, protein and fats from the cheese, and a little bit of sugar to give me the impetus to get back up again at the end of my rest stop. If I’m on a particularly arduous hike, I’ll carry my lightweight MSR stove with me and take a pouch of ‘ready food’ that I can eat either hot or cold. 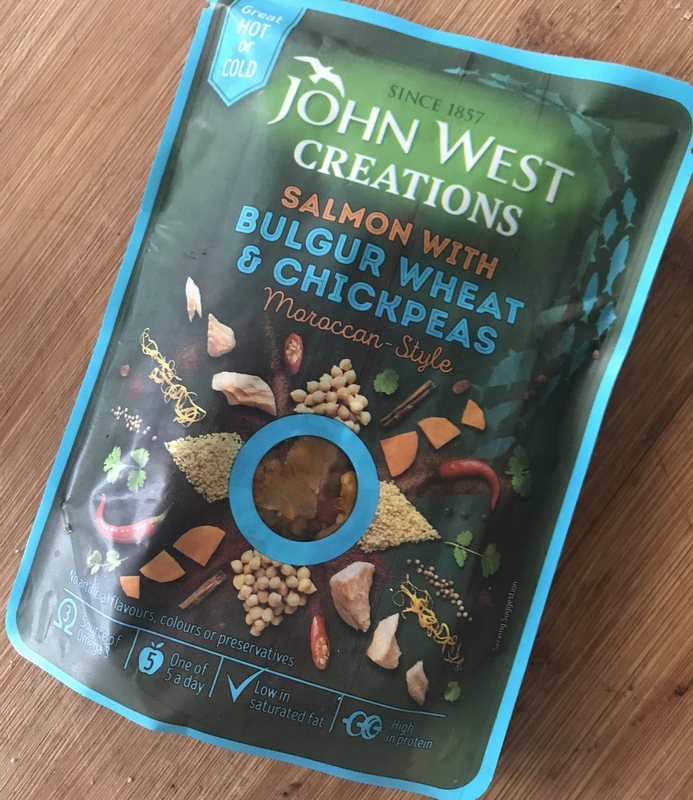 A particular favourite at the moment is the John West Creations pouches. These can be eaten cold or, if you prefer them hot, you can stick the pouch in a pan and warm it through. They contain about 1200kj of energy, 23g carbs and 14g of protein. They’re also light and easy to travel with. In the afternoon I’ll often have a banana and a second cereal or protein bar. These will again be supplemented with nuts and/or jelly babies. Importantly, however, I always carry a few lightweight spares just in case things don’t go to plan. These spares will usually be in the form of a mix of energy bars and gels. I wouldn’t normally class these as part of my usual hiking nutrition but they’re great to have as a backup. Lastly, as I said earlier, I’ll take a snack and protein drink to have in the car when I’ve finished the hike. You can’t underestimate how important it is to refuel at the end of your walk. Get your hiking nutrition right and you’ll be good to go again before you know it! 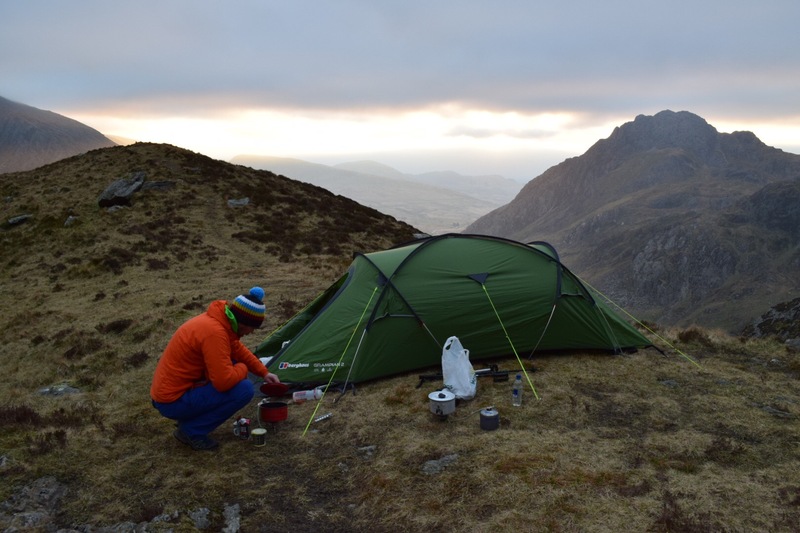 If you’ve got any favourite hiking nutrition or food tips and recipes, please let me know as I’d love to share them. Thanks for these tips. I am always stuggling to know what I should eat when I go hiking.